Mayor Patricia de Lille and Minister in the Presidency, Trevor Manuel, officially opened the Nelson Mandela Legacy Exhibition in the Cape Town Civic Centre on 30 June 2013. The exhibition, on the concourse level of the building, is a multimedia display tracing Mandela’s relationship with Cape Town. 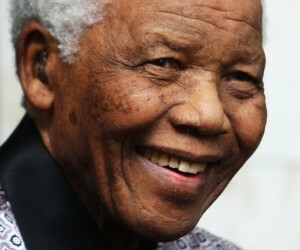 The Mayor said her idea to celebrate Mandela’s legacy and his relationship with Cape Town came about last year when the former President was hospitalised. 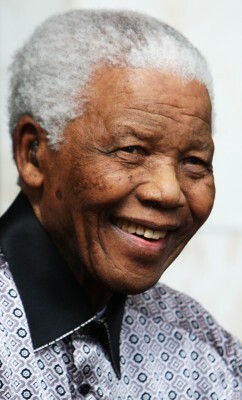 “I wanted to celebrate Madiba during his lifetime. I wanted to let the people come together to celebrate him while he is still with us and draw on his example of leadership to chart our way into the future”. Mayor De Lille declared 2013 as the year in which the mother city would celebrate Nelson Mandela and she reiterated the necessity of passing on his story about the sacrifices he made for South Africa to be a democracy on to the younger generation. When Mandela was awarded the Freedom of the City in 1997, he said: “It was the people of Cape Town who welcomed me on my first day of freedom. I am proud to be associated with citizens who are uniting at last to build a better life for all who live in Cape Town." “We know his history with our great city,” said de Lille. “It was here that he was imprisoned for so many years by the Apartheid regime. It was also in Cape Town that he ushered in a new legal framework of human rights and dignity from the first democratic parliament."